Great review, Joe. 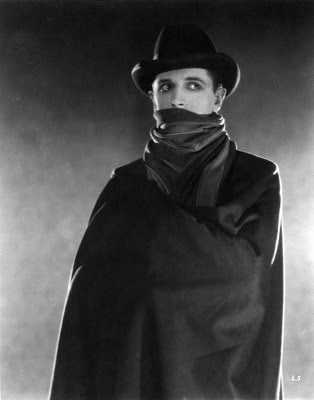 It's been years since I saw "The Lodger", and I agree, it's a very fine film. I also like "Blackmail", but "The Lodger" was by some way the better of the two when I saw them both together. Just tracing through the influence of the German Expressionists in film is just such a wonderful journey. Thanks for all your posts this year. I've enjoyed all of them, and in particular the French films of the late 1930s and 40s which are a real favourite of mine. Thank you so much again - terrific work, a terrific blog, and the very best for Christmas to you and yours, Sir! Thanks very much Sidney old chap, you're a true gent. I shall be sure to get back on the vintage French stuff in the new year in your honour. Merry Christmas!